On the shores of Enchantment Lake in the woods of northern Minnesota, something ominous is afoot, and as Francie begins to investigate, the mysteries multiply: a poisoned hotdish, a puzzling confession, eerie noises in the bog, and a legendary treasure said to be under enchantment—or is that under Enchantment, as in under the lake? At the center of everything is a suddenly booming business in cabin sales and a road not everyone wants built. To a somewhat reluctant northwoods Nancy Drew, the intrigue proves irresistible, especially when it draws her closer to the mysteries at the heart of her own life. What happened to her father? Who and where is her mother? Who is she, and where does her heart lie—in the bustle of New York City or the deep woods of Minnesota? 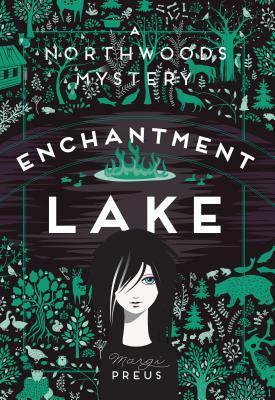 With its gripping story, romantic spirit, and a sly dash of modern-day trouble (including evil realtors and other invasive species), Enchantment Lake will fascinate readers, providing precisely the charm that Margi Preus’s fans have come to expect.